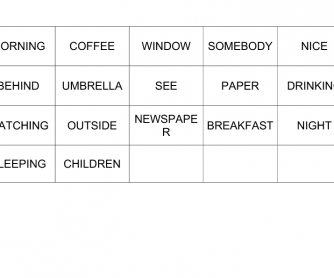 This song pair activity focuses on ability to hear particular words in a song. It doesn´t matter what song you use. It is easily adaptable. However, the level of English of your students should influence you in two regards – what song you choose and what vocabulary you involve into vocabulary sets. Once you have chosen a song, list about ten words from its lyrics. 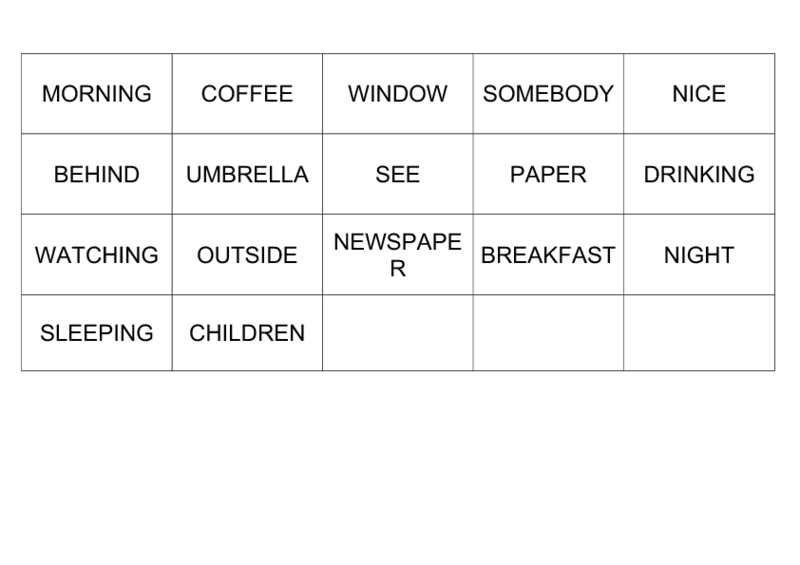 Write each word on a card – ten words=ten cards. Make a set of these cards for each pair of students. If you want, you can include in the set two or three distractors (words that are not in the song but sounds similar). In class distribute the sets and students put them on their desks so that both from the pair can see them and reach them. Play the song and the purpose of this activity is to be the first who hears the word and picks it up from the desk. The one with more words wins. But if s/he picks up a distractor, loses a point. It is highly competitive and students like it. Very often they want to hear the song again but this time with the lyrics. It is good to be ready for it. However, even in this phase I don´t make it easy to them – I give them out the lyrics but with gaps to fill them in while listening. And they are usually the words from the sets from the previous task. As an example, see Tom´s Diner by Suzanne Vega.